At Accelity Marketing we love inbound marketing because this methodology helps us drive leads and close more sales. However, with the hustle and bustle of a busy work life, it’s easy to leave a lead in the limbo of the sales funnel. Which is why I want to talk about integrating lead nurturing into your B2B growth marketing strategy. Did you know effectively nurtured leads produce a 20% increase in sales opportunities? With that kind of increase, taking extra time to nurture your leads just makes sense. Follow these effective practices to see better lead nurturing results. Content is like a glass slipper, it doesn’t fit everyone’s foot. By targeting your content based on each lead’s interests, you’ll build credibility and push your leads further down the sales funnel. Use your buyer personas to cater your content to whomever you send it to. build workflows around content downloads. For example, if someone downloads an ebook about productivity, send them relevant content related to that offer (a to-do list, a blog about productivity apps, etc.). Providing content based on the known interests of your buyers is an easy way to provide value. This is an easy step to miss, but it’s crucial to do a follow up with your leads as soon as possible. Respond in a timely manner, and as a best practice don’t wait any longer than 48 hours to respond back. For example, if someone requests a consultation with you, set up a nurturing workflow that sends an email within five minutes of them filling out the consultation form. Even a simple “Thank you for your interest in our company” message sent right away is a great way to let people know they have been heard. If a potential sale is knocking at your door you wouldn’t want to miss out. Email marketing is alive and well, and a personalized email can generate up to six times higher revenue than non-personalized email. Plan to do a second (and even third) follow up as well just to stay fresh in the minds of your leads. As a best practice these emails should be about two to six days apart. The first email content should contain something small. You don’t want to overwhelm someone with information that didn’t know they even wanted. Start with a blog or something else easy to read through. Email two’s content should be a bit more engaging and involve more prospect interaction.. Examples include white papers, checklists and videos. As you begin to nurture your lead even further, you’ll find that sending more in-depth content creates even more interest. Consider sharing big picture content aimed at solving their problems, such as ebooks, how-to videos and webinars. A final note: lead nurturing workflows don’t last forever. Figure out a way to “break up” with the prospect. You might invite them to download another offer, or sign up for your email. Whatever you decide, don’t forget to include a P.S. line or note within your email encouraging your prospect to request a consultation or demo. Once you start producing content geared towards your audience, DON’T STOP! As long as your leads haven’t opted out of your emails, you are on the right track. Keep creating relevant and focused content, follow up, and build connections with your leads. Get your whole company on board. Working together and having a mutual understanding across your sales and marketing teams ensures that your best practices will be followed and your leads turn into sales. When everyone has the same idea of what to do with the lead your business can succeed in delivering results and delighting clients. Once you have a lead nurturing program in place, all you have to do is follow your step by step list and watch your leads turn into closed sales. 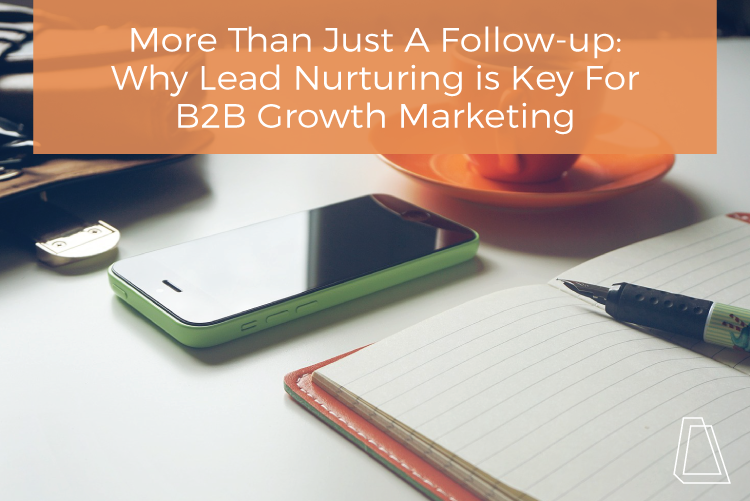 Interested in more lead nurturing best practices? Contact our Milwaukee marketing agency, or check out our lead nurturing workflows resource.